I am Kevin Joyner and I am the Owner of Joyner Property Inspection. I grew up in the RVA and attended Virginia Tech where I obtained a degree in Building Construction from the School of Architecture. I then worked in the DC area for a large commercial construction firm as an estimator before returning to Richmond to work in the family custom home building business for over 15 years. During that time I gained a tremendous amount of knowledge and experience in all aspects of home building from the ground up. Also completing many whole-house remodels and large-scale additions, my knowledge base expanded to include how older structures were built and how they can change over the years. In addition to having a broad knowledge base pertaining to the construction aspect of a property, I have a brother and a father who are both real estate brokers. 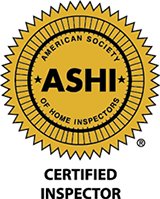 This allows me to gain much insight on the transaction aspect of buying/selling a home and helps me to better understand my role in this transaction as a home inspector. I have also worked as a Conservation Officer for VDGIF (formerly known as Game Warden) and enjoy many outdoor activities such as camping, fishing and mountain biking. I am a proud husband to my wife, Amy and father to my three children.